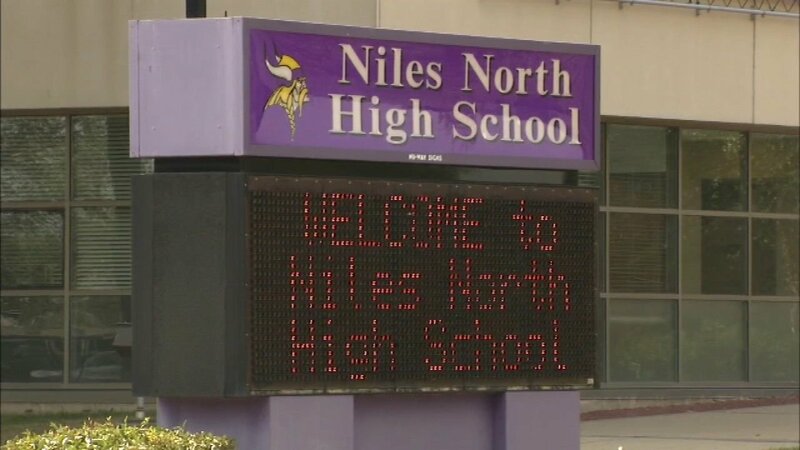 SKOKIE, Ill. (WLS) -- Niles North High School in north suburban Skokie, Ill., reinstated its varsity football operations Monday following an investigation into hazing allegations, school officials said. The school abruptly suspended varsity football operations on Sept. 15 after receiving reports of hazing. School officials notified Skokie police of the allegations and launched an investigation. School officials said the investigation determined no criminal conduct took place and reinstated football. The investigation did turn up some conduct warranting action, and school district officials said they "will be taking appropriate action to address the conduct determined to have taken place." Officials did not reveal specifics of the investigation or the actions uncovered in that investigation, citing student confidentiality laws. "This last week has been a difficult one for our school community, but I am proud of the way we have come together," said Niles North Principal James Edwards. "As soon as our school became aware of the allegations, we were determined to act in the most proactive and thorough manner possible, and we are glad that we are able to reinstate the program today. We are thankful to our football parents, who offered their understanding and patience during this investigation, and to our staff members, who have supported our students throughout the week." "We are grateful to the Skokie Police Department for their painstaking efforts to expedite their investigation during this difficult time," said D219 Superintendent Steven Isoye. "I want to commend Principal Edwards and his team at Niles North for immediately taking action and for carrying out the investigation so thoroughly and fairly."